If you’ve spent any time with us at State & Allen Kitchen + Bar, you know that sustainable, simple eating is a big part of our promise to you. We find that food just tastes better when it’s grown locally, when it’s harvested at the right times, and when it's good to the environment. While standardized labels for eggs can be tricky, in general, when an egg is labeled “free range,” it means that chicken was given ample time to roam and forage for food, collecting its own natural sources of food from its environment and taking it lots of natural sunlight. Research has shown that this method of raising chickens increases the essential vitamins and minerals found the in egg. 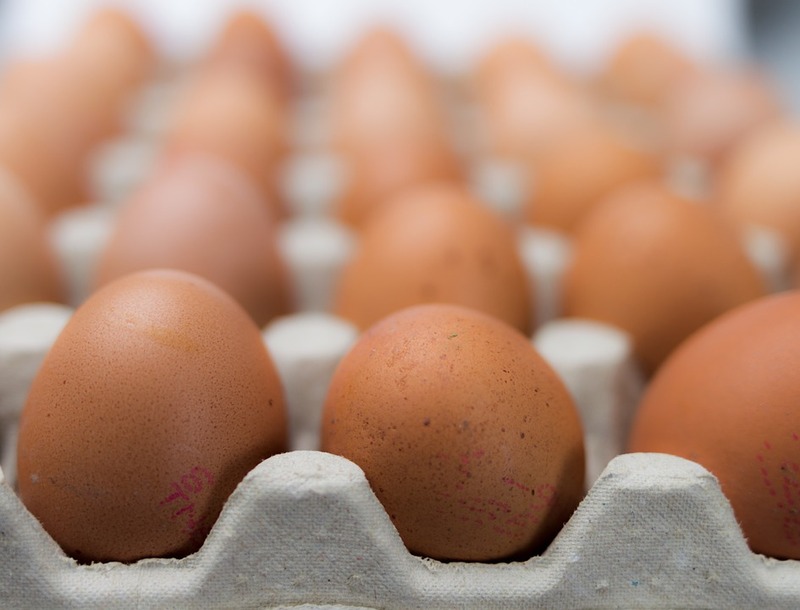 A free range egg is shown to have more of Vitamins A and E, lower cholesterol levels, twice as much Omega-3 fatty acids, and less saturated fat that its conventional counterpart! While this may be subjective, we believe that healthier eggs just taste better. Often you’ll notice that eggs from free range chickens are brighter in color than those grown with conventional methods. This is a reflection of the nutrition that went into the chicken, which in turn affects the flavor of the egg. Ready to enjoy some delicious free range eggs? Visit State & Allen for the best brunch in Dallas, featuring our famous Bloody Mary Bar – the only Bloody Mary Bar in Uptown! The kitchen and bar here at State and Allen are fully equipped to create the most delicious food and drinks available in the greater Dallas area. We all know this, but the issue that is on everyone's mind is…. When do we open and when do we close? Well the hours are pretty simple but need to be addressed so there is no confusion. Sunday through Wednesday we are open at 11am - 10pm. This gives all of our customers a chance to get lunch and dinner at the State and Allen Kitchen and Bar as long as you are don't try to come in after 10pm. Also our extraordinary brunch is served until 3pm on Saturday and Sunday so you can pig out until 3. We hope our Dallas family gets a chance to experience our brunch any day but the weekend is the time to do it since we serve it later in the day. So sleep in and then come enjoy a hearty and filling brunch at your neighborhood Dallas kitchen. The bar is open everyday from 11am-Close, so you never need to be concerned about the bar being open because if we are open then our bar is too! So come enjoy a tasty meal and a refreshing drink at the State and Allen Kitchen and Bar located on 2400 Allen Street in Dallas, Texas. Now you know the when and the where so come over as soon as you can and join the State and Allen family!